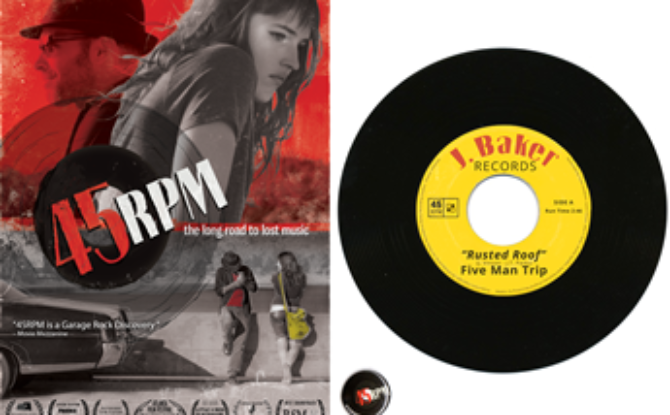 45RPM is now available for preorder on DVD!! And if you hurry, you can get in on the limited edition 7″ record with THE song from the movie! Charlie, an artist who seeks a connection between her work and her estranged father’s music, teams up with Louie, an obsessive record collector from Memphis, and together they begin an exhaustive search for a rare 45 recording from the 1960s Arkansas garage rock scene that takes them both on a journey across the seldom-explored landscape of the new Old South. Be sure to hurry and order yours today! The official release date for DVD and VOD is March 14th.